William Brinkman works in logistics, and has maintained the Bolingbrook Babbler since 1998. He’s also been an editor at an alternative publication based in Iowa, and a contributor for White Wolf’s Demon: The Fallen game line. William’s has been active in the Chicagoland secular community, and is involved in a humanistic congregation. Unless stated otherwise, all posts on this blog are works of fiction. Emails can be sent to bolingbrookbabbler at gmail.com. Subscribe to The Bolingbrook Babbler via Email! 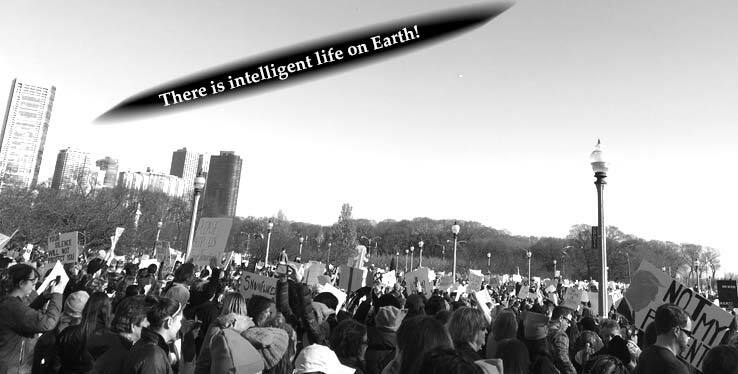 In addition to an estimated 250,000 humans, aliens also attended the Women’s March on Chicago. I think I’m beginning to grok this blog.